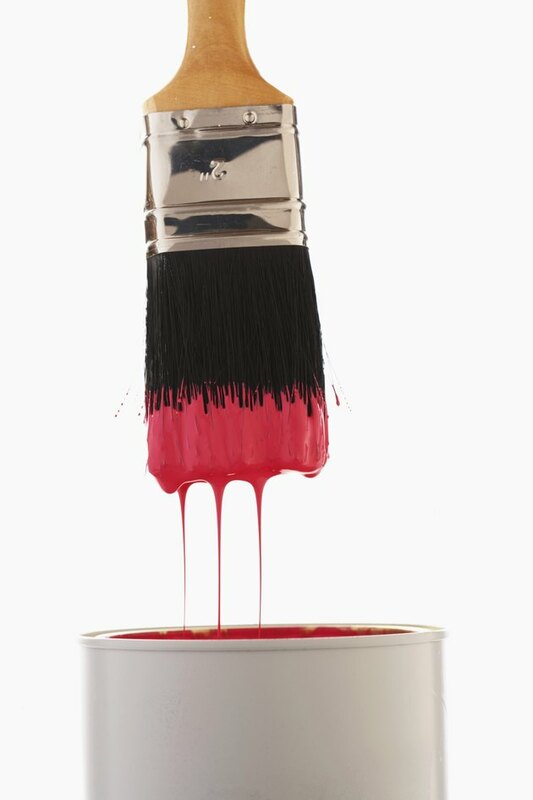 Anyone who has ever tried to paint metal with a brush will tell you that it is difficult to apply a smooth-looking coat of paint free of unattractive brush marks. Because metal is so smooth, it can be unforgiving to do-it-yourselfers with shaky hands. Even some professionals have trouble painting metal with a brush and opt instead to use spray rigs. However, if you plan to paint metal with a brush, there are a few techniques you can employ that will give you a much better chance at a sharp, flawless-looking finish coat. Paint metal without streaks or flaws. Clean the metal thoroughly with a rag dampened with mineral spirits. Allow five to 10 minutes for the mineral spirits to evaporate. Pour oil-based paint into a 5-gallon bucket or a painter's pail. Fill the pail only halfway. Add 1 oz. mineral spirits to the paint to dilute it and promote a smoother-looking application. Mix the mineral spirits and the oil-based paint with a wooden stir stick. Add more mineral spirits if the paint still appears too thick. Add more paint if you dilute the mixture too much. Dip only the tip of a paintbrush into the paint. Use the paintbrush to apply the paint to the metal surface. Use only slight pressure. Paint from left to right. Apply only a light coat. Do not try to completely cover the metal on the first coat. Allow about one hour for the metal to dry. Apply a second light coat just as you did before. Allow another hour for the metal to dry. Continue applying light coats until the metal is completely covered.